The American actor and playwright George Michael Cohan was one of the most versatile personalities in the American theater. His shows glorified Broadway and patriotism. George M. Cohan was born July 3, 1878 (legend has it as July 4), in Providence, R.I., the son of vaudevillians. He first appeared on stage as a violinist in the family act and then as a "buck and wing" dancer. He was the star of Peck's Bad Boy in 1890, and at age 15 he made his Broadway debut. At the concluding curtain call, his words to the audience, "My mother thanks you, my father thanks you, my sister thanks you, and I thank you," became a sentimental trademark of his act. His first wife, Ethel Levey, whom he married in 1899, was his dancing partner after his sister left the act. He married a second time in 1908. The first Broadway production which he wrote, composed, and directed was The Governor's Son (1901). Among the more than 50 plays, comedies, and revues he wrote, produced, or acted in were Little Johnny Jones (1904), Forty-five Minutes from Broadway (1906), George Washington, Jr. (1906), The Man Who Owns Broadway (1908), The Yankee Prince (1908), Seven Keys to Baldpate (1913) (which earned him a reputation as a serious playwright), and The Cohan Revues (1916 and 1918). He also wrote over 100 vaudeville sketches. The stage style for which he was famous included dapper costumes, a derby or straw hat cocked jauntily over one eye, wisecracks, and lively capers across the stage with a fast swinging cane. The many popular songs he composed include "Mary's a Grand Old Name," "Give My Regards to Broadway," "So Long Mary," "I'm a Yankee Doodle Dandy," and "You're a Grand Old Flag." His famous World War I song, "Over There" (1917), sold 2 million copies of sheet music and 1 million records. President Woodrow Wilson described it as an inspiration to American manhood, and President Franklin Roosevelt cited the song when presenting Cohan with a congressional medal. Cohan's role in Eugene O'Neill's Ah Wilderness (1933) proved his competence as a serious actor. His impersonation of President Roosevelt in the satire I'd Rather Be Right (1937-1938) was also praised. Cohan made a movie in 1932, The Phantom President, but was generally unhappy with Hollywood. In 1942 James Cagney portrayed him in the film biography Yankee Doodle Dandy and won the Academy Award. A musical play, George M!, featuring his music, was produced on Broadway in 1968. Cohan died on Nov. 5, 1942. A protean talent, he often wrote his own books and lyrics and sang and danced in, produced, and directed his own shows. Essentially a "song and dance" man, he energized the American musical theater. However uncomplicated and sentimental his works are, they have an important place in theatrical history. 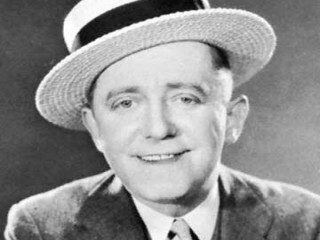 View the full website biography of George M. Cohan.